Juniors Printed Thermos Flask - 350 ml | Blue | Ideal for travelling . Save SAR 8 (21.62%) – Earn 3 Shukrans What is Shukran? Shukran is the Landmark Group’s award-winning loyalty programme in the Middle East, which allows you to earn Shukrans when you shop any of our brands. 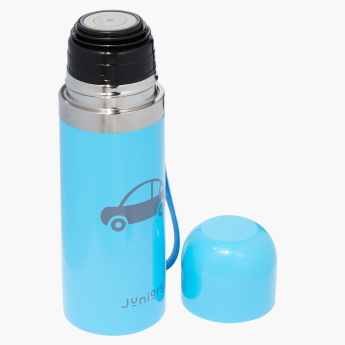 Pick this thermos flask for your little one which is ideal for use while travelling. 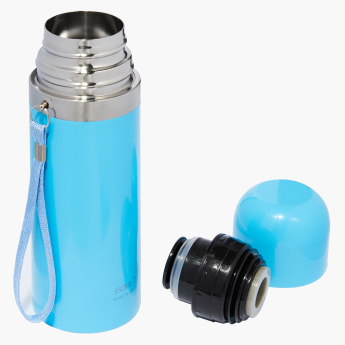 It has a thermos feature that is specially designed to maintain the temperature of the liquid in the flask. 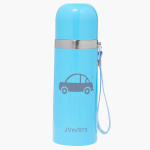 The lovely design is complete with a car printed on it in addition to the attached wrist strap. 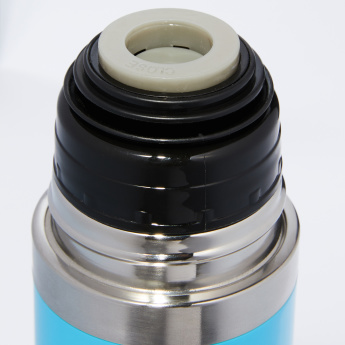 Feature 2 : Specially designed to maintain the temperature of liquid pour in the thermose.